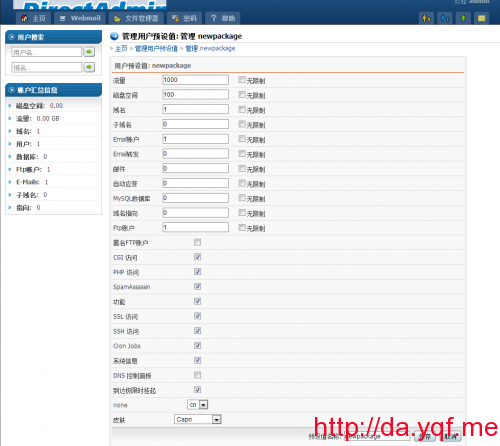 This entry was posted in DirectAdmin安装教程 and tagged DA教程, directadmin on June 14, 2013 by yqf.me. 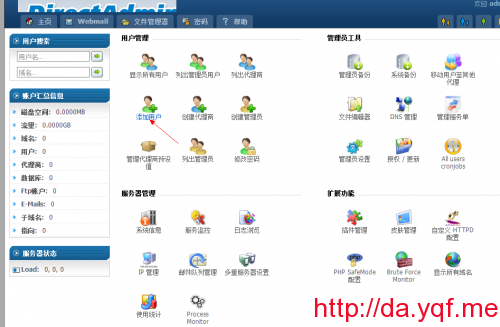 This entry was posted in DirectAdmin安装教程 and tagged capri，中文模板, DA模板, directadmin on June 14, 2013 by yqf.me. 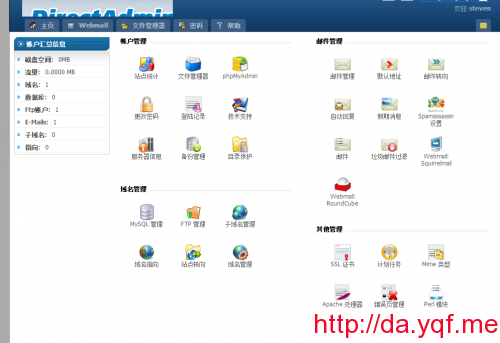 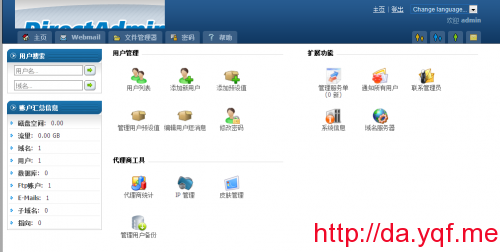 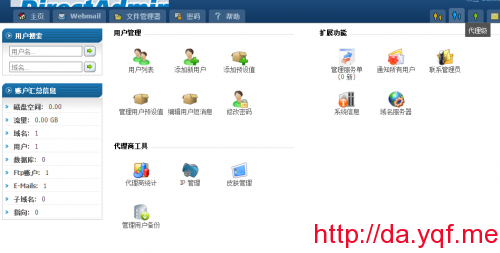 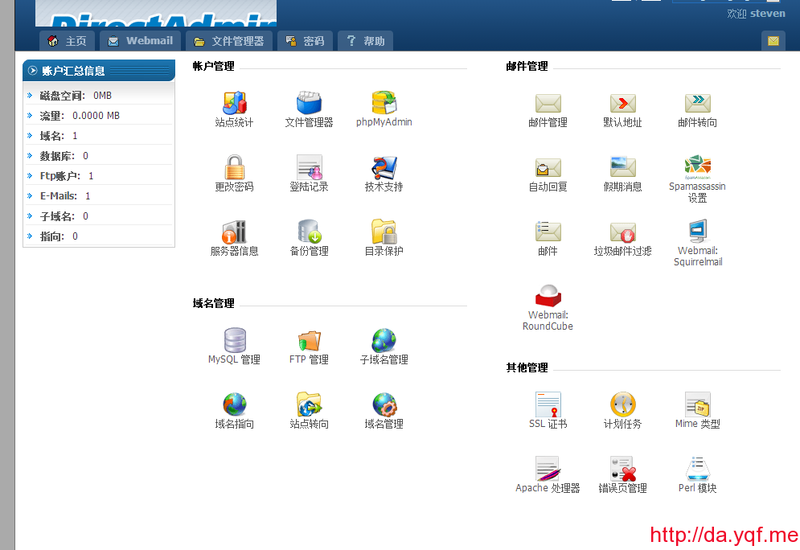 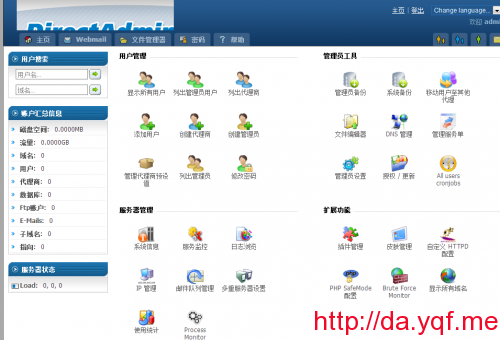 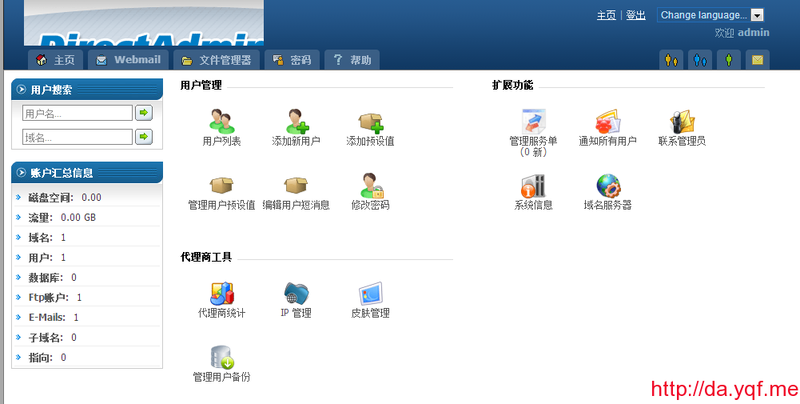 This entry was posted in DirectAdmin安装教程 and tagged directadmin, php5.2, php5.3, zend on June 3, 2013 by yqf.me.